Funcom, known for games such as The Secret World and Conan Exiles, has revealed Mutant Year Zero: Road to Eden and it's coming to PlayStation 4, Xbox One, and PC. 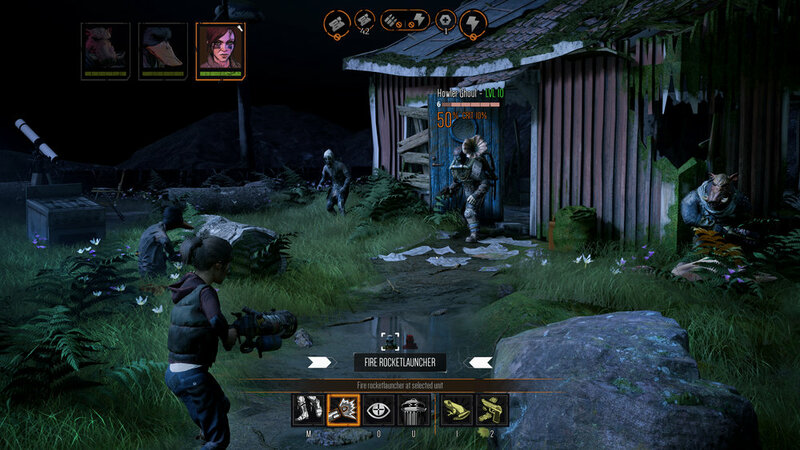 Funcom is on publisher duties this time around with Mutant Year Zero: Road to Eden being developed by a Sweden-based studio called The Bearded Ladies. Have a look at the reveal trailer above. Based on the details given so far, this is a tactical adventure game with turn-based combat similar to games like XCOM with real-time exploration and stealth. Mutant Year Zero is set in a post-human Earth. "Of course the world ends, it was just a question of time. Extreme climate change, global economic crisis, a lethal pandemic, and increasing tension between old and new superpowers. For the first time since 1945 nuclear weapons were used in armed conflict. Mushroom clouds rose from east to west before the dust settled. The humans are gone. The Mutants are here." No gameplay footage was seen in the reveal trailer, but heading over to the game's official website gives more details about the game. From in-game locations to teasing the game's stealth mechanics in action. We are also given the names of the three Mutants in the trailer - Dux, Bormin, and Selma. I think by the names you have an idea who's who. Screenshots were given and it clearly shows the XCOM influence, even on the game's user interface. Funcom is planning to reveal more in March as they will be showing off demos of Mutant Year Zero behind closed doors at GDC 2018 in San Francisco. No release date was given but it's currently set for a 2018 release.